The Scaremongers are wrong. It won’t cost you $120 per cow for your methane bill. It will be closer to $1 per cow. And that’s from the horse’s mouth: DR Richard Eckard, who leads the Greenhouse and Climate Change Program at the University of Melbourne and the Victorian Department of Primary Industries. He is a methane specialist. 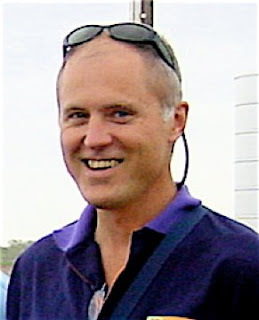 Dr Eckard will be a major attraction at the 2008 CARBON FARMING EXPO & CONFERENCE on 18th/19th November in Orange, NSW. "There’s been a lot of people scare mongering around saying it’s going to be $120 per cow. That’s only if you’re actually looking for total carbon neutrality, then you’re talking about those types of figures. We’re actually only talking about less than a dollar per cow type of figure because we’re only at the inception of the scheme, only looking at a small percentage," he told an audience last month. Dr Eckard argues the tree planting and land care activities that most farmers have been engaged in will offset their liabilities in the early years.